The first pediatric flu death in Texas has been reported. The Dallas County Health and Human Services reported a 2-month-old child has died. A total of 20 pediatric flu deaths have occurred nationwide. The Centers for Disease Control and Prevention (CDC) recommends the flu vaccine for everyone 6 months of age and older, with rare exceptions. The vaccine status of this particular infant's parents was not reported, but Mary Suzanne Whitworth, M.D., medical director of Infectious Diseases at Cook Children’s said parents must do their part to protect their children during flu season. Vaccination is recommended as long as the influenza viruses are still circulating. At Cook Children’s, this was the latest in the flu season that a child has started in at least 10 years.The latest numbers from March 19, 2016, state that 102 patients have been diagnosed with either flu A (42) or flu B (60). During the 2014-15 flu season, the CDC says there were a total of 148 influenza-associated pediatric deaths reported in the US of which 19 were reported from Texas.There were two pediatric influenza deaths in Tarrant County during that time period. 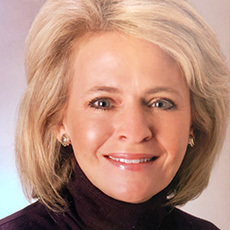 Mary Suzanne Whitworth, M.D. is the medical director of Infectious Diseases at Cook Children’s, which offers care for children and teens with diseases caused by bacteria, parasites, fungi or viruses. Our team provides a broad range of services including diagnosis, inpatient and outpatient consultations, immune deficiency evaluations and treatment of recurring infections.